Black and red berry flavours well integrated with the oak flavour. 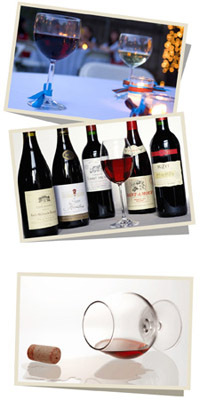 In summer the wine can be chilled and enjoyed with seafood or light meat dishes. Kanonkop Winemaker: Beyers Truter, "King of Pinotage"
This is a very elegant expression of Pinotage. On the bouquet there are notes of ripe, red fruit with floral tones and hints of lavender. Te flavours follow through on the palate which also has a firm yet elegant tannin structure. This wine is delightful on its own but can be successfully paired with hot curry dishes or wintry stew. Dark berry and savoury flavours flesh out the middle palate. Soft and elegant on the finish, displaying great balance and subtle oak undertones. A luscious and lively nose of dark mulberries, juicy bluberries and hints of sweet vanilla, toffee and flower garden. A medium to full bodied and fruit-driven palate with sift and velvety tannins that deliver a long luxurious finish. Full bodied Pinotage with a deep colour. The dark berry and plum flavours are well balanced with complex aromas from nes French Oak. may be added to the bill.